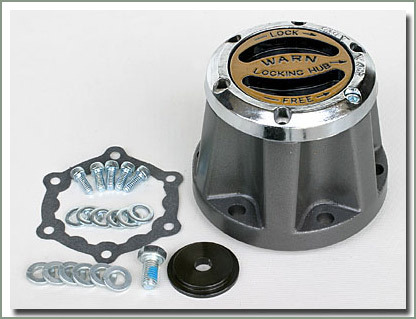 Warn premium Locking Hubs are the popular choice for aftermarket locking hubs. 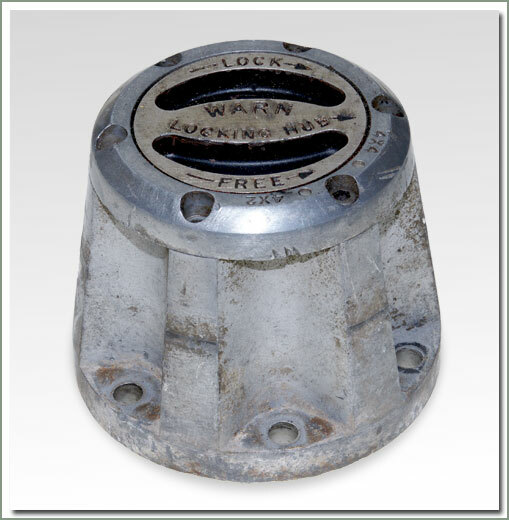 Warn invented the lock out hub as we know it today dating back to the 1940's & 1950's. 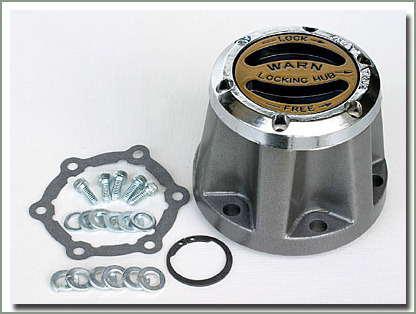 Warn premium locking hubs save wear and tear on your Land Cruisers front drive train. 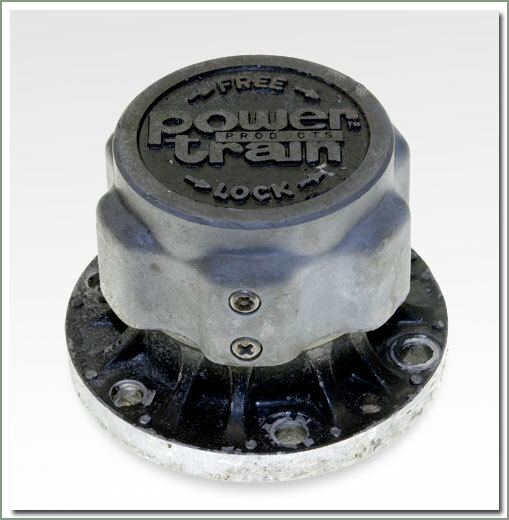 Unlocking the hubs disconnects the front wheels from the axle, which saves on fuel and gives you more power. 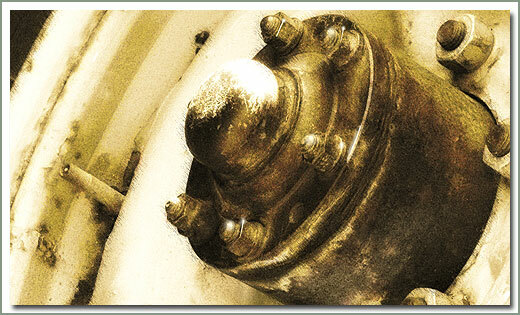 This also means less expense on servicing and replacing front drivetrain parts. Installs in less than an hour using the stock hub bolts. 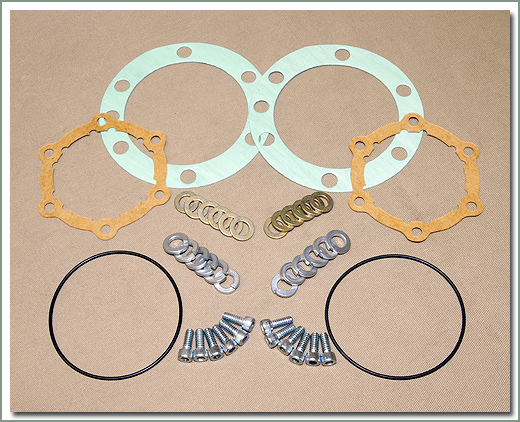 Includes gaskets, lock washer and allen head bolts. Sold each. 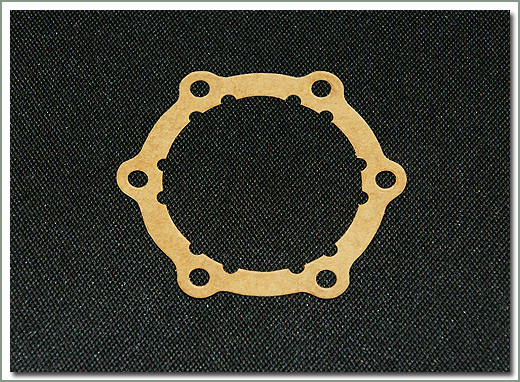 Black Manual Hub Decal - This decal is black ink on vinyl material like the original not paper. 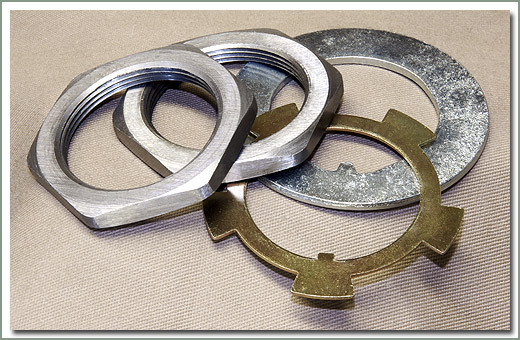 Specter offers a wide range of used, hard to find locking hubs to fit early coarse spline axles. 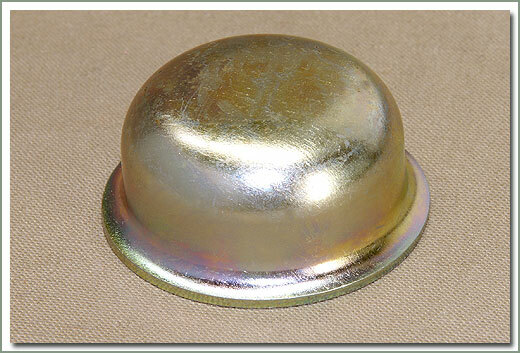 The selection shown here represents hubs commonly found on early Land Cruisers. Keep in mind these photos are for reference only but accurately depict some manufacturers and models currently available. 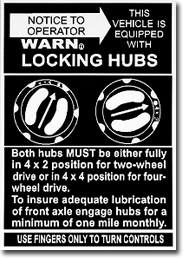 All hub are sold individually. 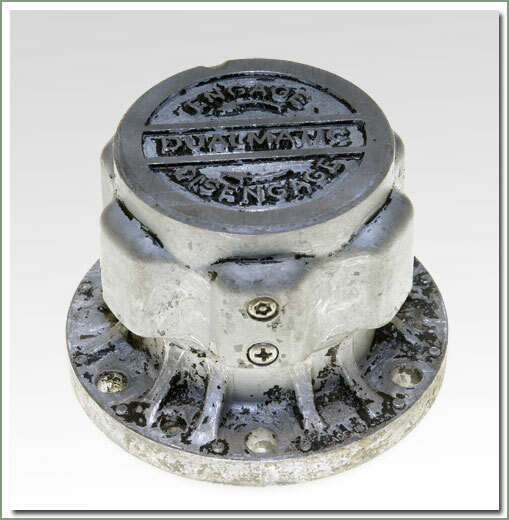 If you are ordering #333-193-U Used Warn Hub, order #333-7309 Hub Service Kit for gaskets and cover screws (one kit does both sides). 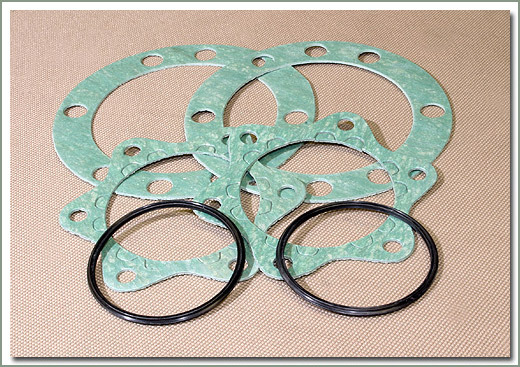 All others order new hub gaskets #080-05A (requires one per side). 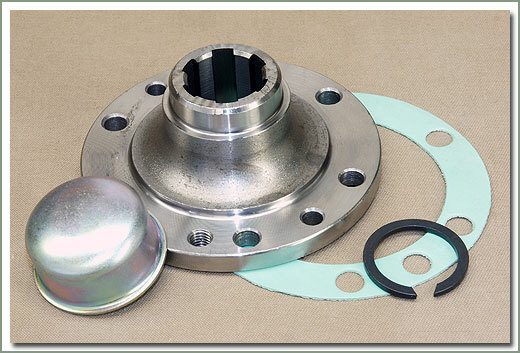 For #333-193B-U Warn "barrel style" hub order quantity 2 #080-05A Hub Gaskets per side. 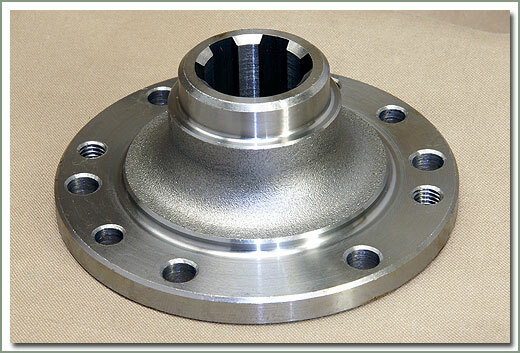 Fits 1958-1975 coarse spline axle - sold each - Used. 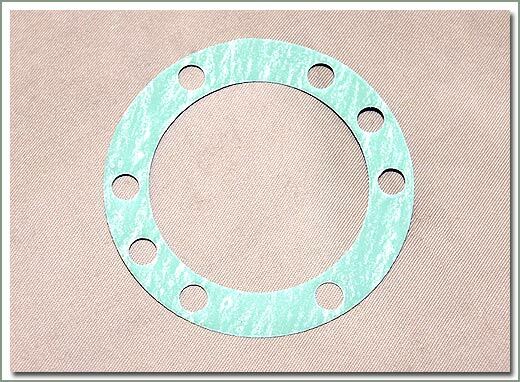 Be sure to order #080-05 Hub gasket separately. - Photo is for reference only, used products very in appearance. 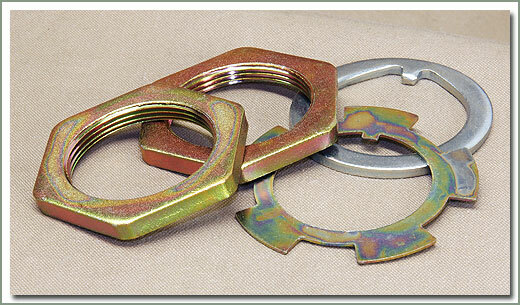 Next time you service your wheel bearings, replace those screwdriver chiseled retainer nuts and worn out tab washers with new ones. 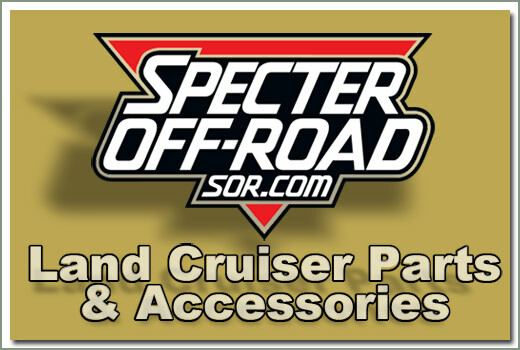 Specter sells a kit that SAVES YOU MONEY over buying individual parts. 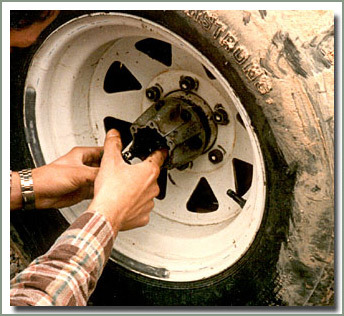 The kit contains parts for one wheel; 2 adjusting nuts, 1 star tab washer and 1 tab washer. 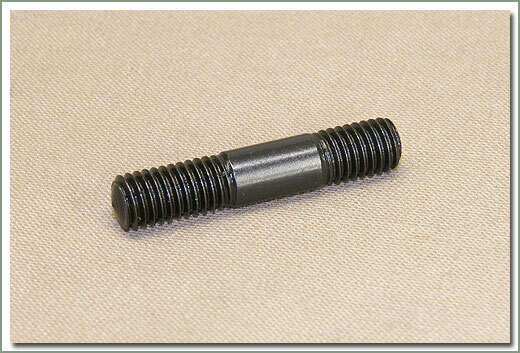 Purchase quantity 2 kits for a complete axle. Here is a good idea, put the money you save towards a new hub socket. 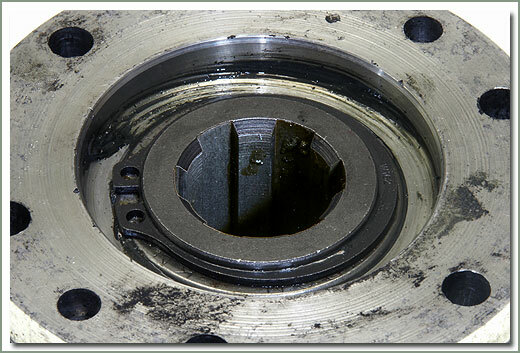 You'll be able to properly preload the bearings and not leave chisel marks. 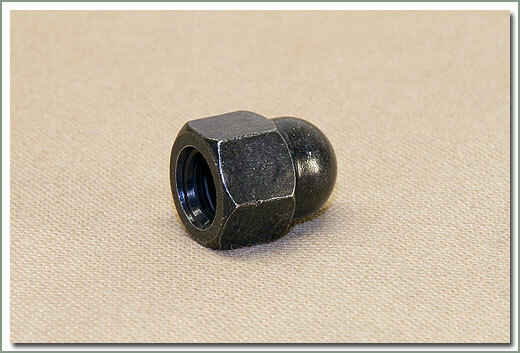 Replacement cone, washer, nut & stud for factory O.E.M. Aisin Hub. 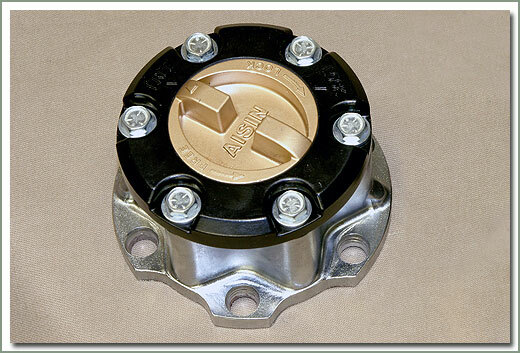 Fits 9/75-1/98 Aisin Hub-Comes with cone (qty 1), washer (qty 1), nut (qty 1), & stud (qty 1) - Does Not have Acorn Nut as found on 8/80-1/90 front hubs purchase 080-69A separately if desired. 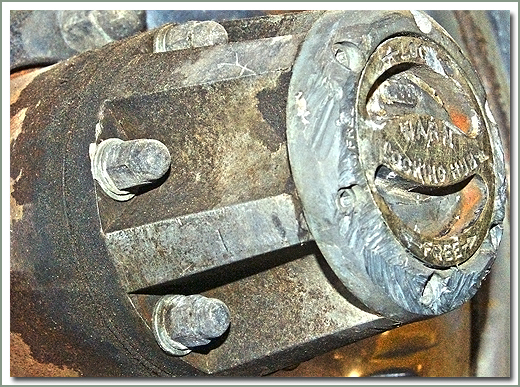 Locking hubs for the early coarse spline Cruiser axle have been discontinued by all the hub manufacturers. 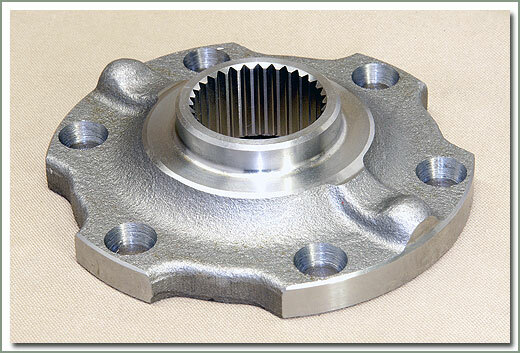 Used hubs are getting hard to find, are expensive when you do find them, and many are worn out from hard use. 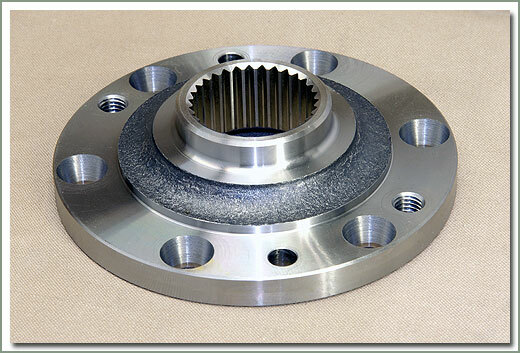 The OEM drive flange is a lower cost alternative for owners who drive in 4 wheel drive most of the time. Convert your ride to full time 4 x 4, the way Toyota originally sold the 40 series! 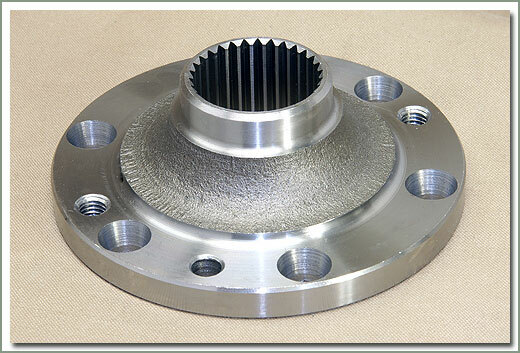 Fits 1958-9/75 with coarse spline axles. 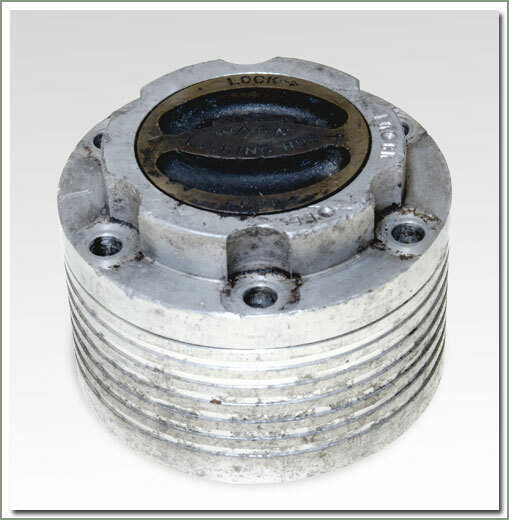 Comes with hub flange, flange cap, hub gasket and snap ring. Hardware sold separately see 080-07A and 08a. Kit does one side. 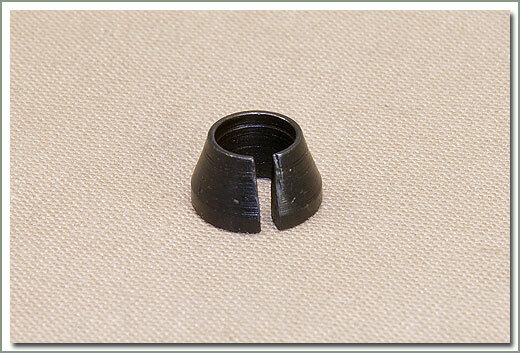 Fits 9/75-1/79 with fine spline axles. 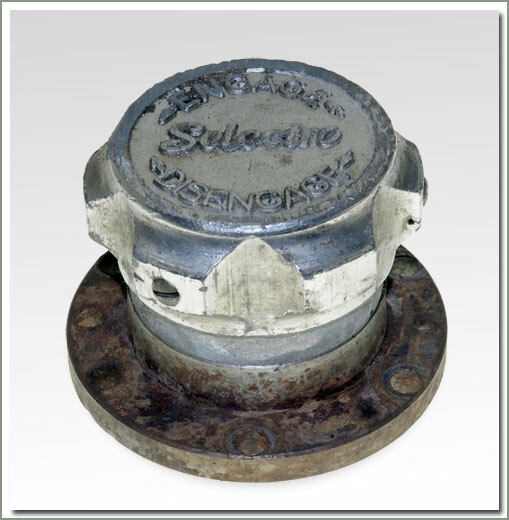 Comes with hub flange, flange cap, hub gasket and snap ring. 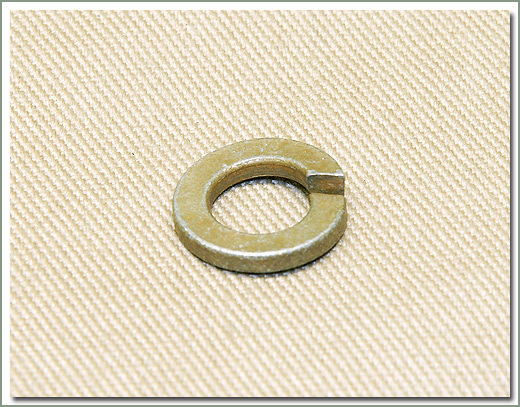 Hardware sold separately see 080-67-KIT, flange made to accept cone washers. Kit does one side. 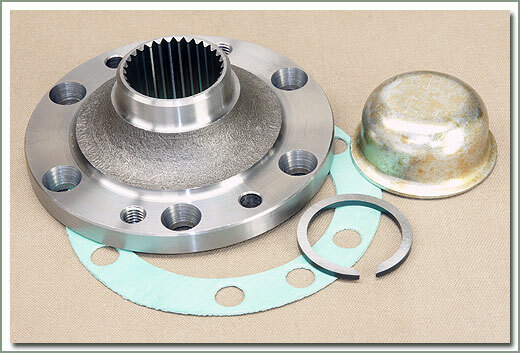 Replacement Nut, Washer, Cone & Stud Kit for early 80 Series factory drive flange. 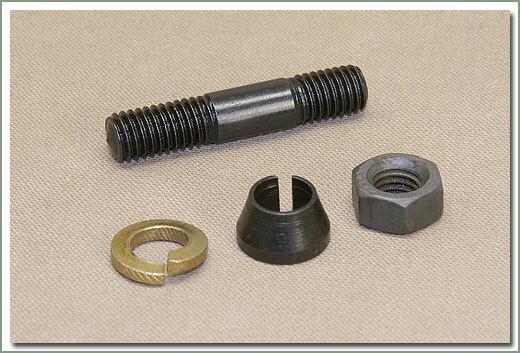 This kit can be used on 80 Series Cruisers through 1998 but contains standard nut as opposed to cap or "acorn nut". 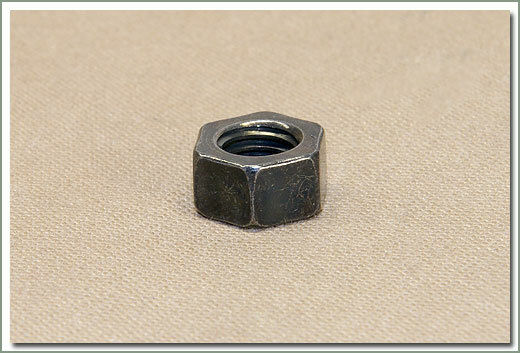 For cap nut, order #080-69A separately (Qty 6 per side, sold each).